and extremely FAST speeds, (4000 + knots). pictures reveal that there was a nose canopy, or perspex. Revamped Textures in roughend up battle ridden gray. 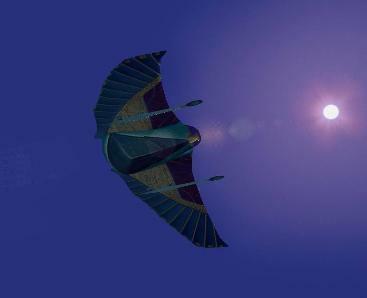 These were a newer set of textures that I later came out with for the Flight Sim Gliders. the ones that mimick the original movie series that were very Egyptian/Alien looking. Thanks to the makers of Stargate and Stargate SG1 for a superb movie and series. up of the serpent lord satan who in the shadows of the people of Earth so wrongly spread its wrath of hatred.